Teddy and Ajay and… Captain Kirk? Robert Haines and Captain Kirk? 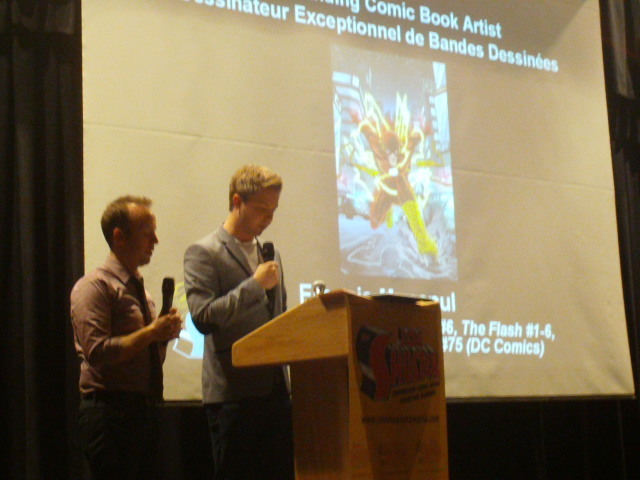 This entry was posted in Comics For Kids, Gene Day Award, General Announcements, General News, Hall of Fame, Publishers, Retailers, Webcomic by Kevin A. Boyd. Bookmark the permalink.